This article applies to Plone 3.0. 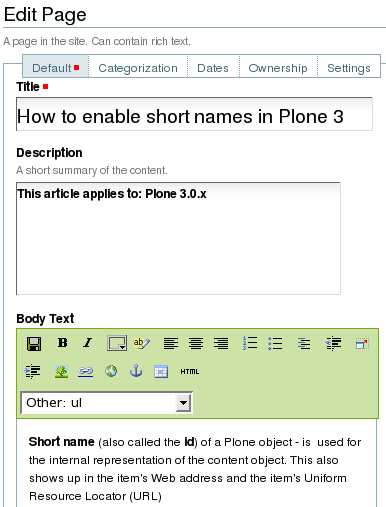 Short name (also called the id) of a Plone object is used for the internal representation of the content object. This also shows up in the item's Web address and the item's Uniform Resource Locator (URL). As the short name is a part of the document's URL, it is preferable to keep it short and descriptive, without spaces. Keeping to these rules will make URLs easier to read. 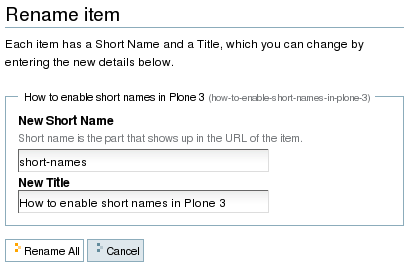 To be able to set your own Short Names for the content, you should enable Short Names on the site. 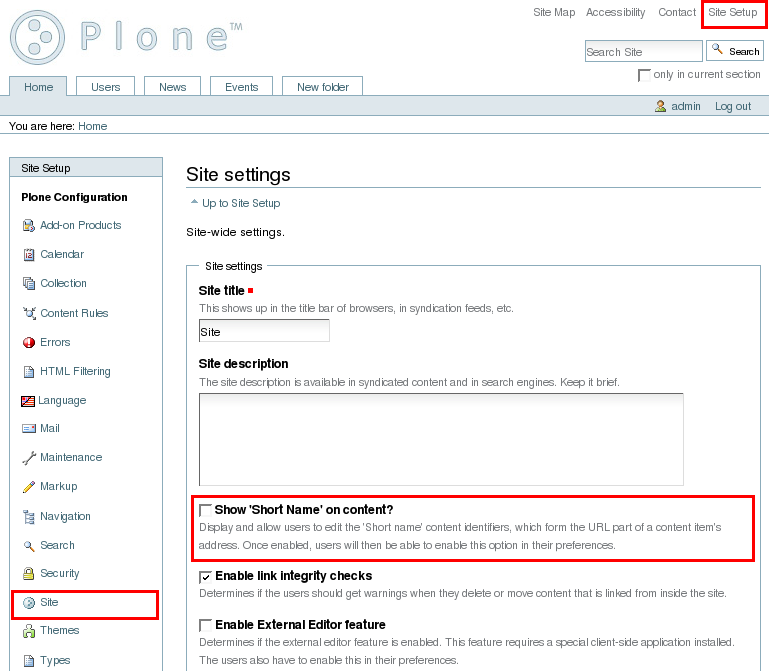 Since Plone generates ids automatically by default, you will have to switch this Plone feature off. 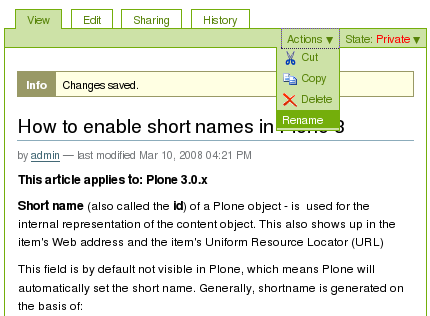 An option to set the short name manually can be set on the site settings form in the Plone control panel. Go to Site Setup -> Site. Find Show 'Short Name' on content? and select it in case you want to allow users to edit the 'Short Name' content identifiers. How to change Short Names if they are not enabled globally? 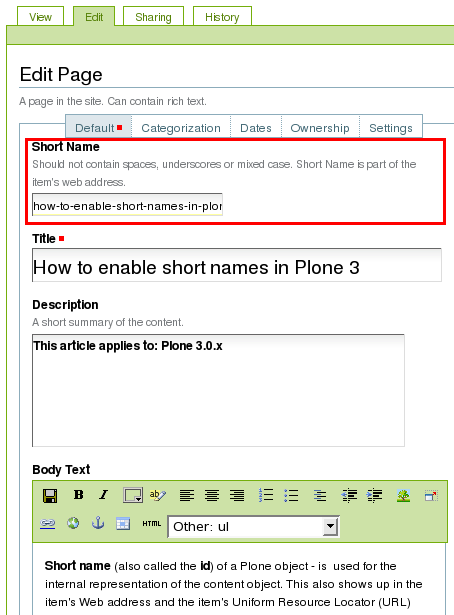 After saving the document its shortname will be generated on the basis of words constituting its title: in out case: how-to-enable-short-names-in-plone-3. Surely, this way is rather time-consuming, but in case no other ways are allowed, this is a good method.